Hey folks! 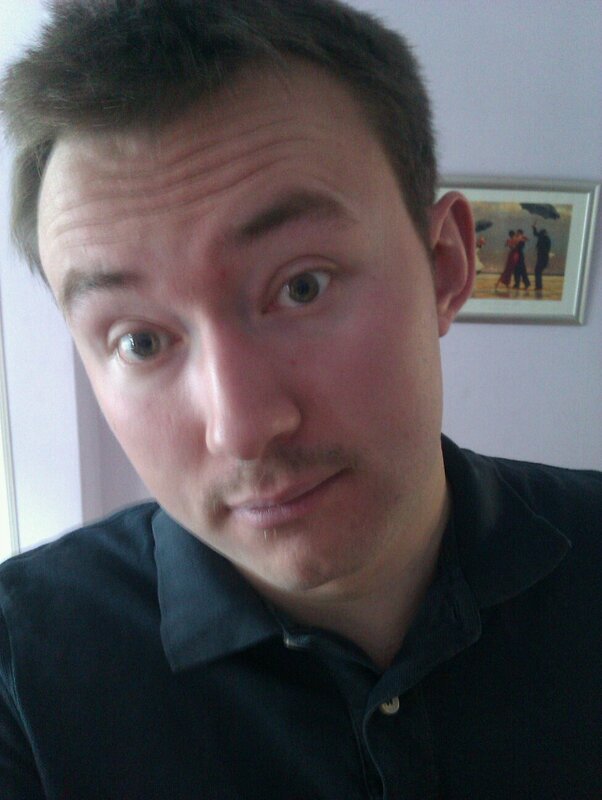 Week one of Movember, and my Mo is still a little bit on the tiny side. On the bright side, I don’t think I look creepy with the Mo (yet). A Whisky I helped create! A few months ago, I was involved with a little top secret project regarding Movember. The fantastic gentleman; Ben from Master of Malt, told me of Master of Malt’s plans for a Movember Whisky. Last year they had bottled a Mo’land and a sMOkey whisky for Movember. This year, they wanted to bottle a 9 year old Glenfarclas. And they asked me to go and select the casks! I was excited and honoured at the possibility of choosing the casks for this bottling. Not only is it something exciting be involved in, but it’s for a very good cause. 10,000 men die every year from prostate cancer, and Movember aims to change that. Master of Malt are donating all the profits from this campaign (£10 from every bottle of Movember Glenfarclas sold) to Movember. 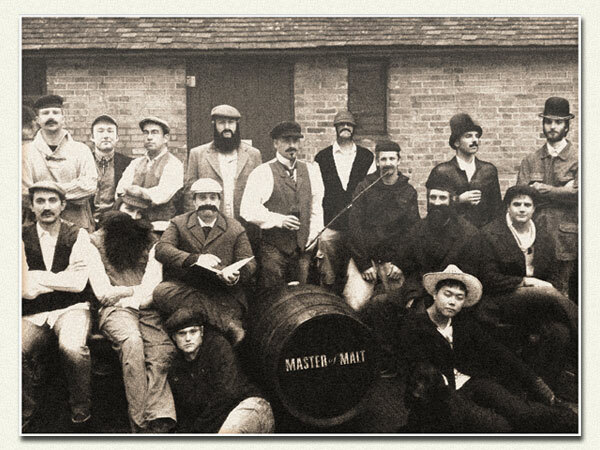 It retails at £39.99 and you can buy it by clicking on the picture of the Master of Malt team below (you may even be able to spot yours truly in the photo. It’s like a game of where’s Wally, except it’s where’s Hoban). I have purchased three bottles already.Now, let me tell you a bit more about flying visit up North…. On my way up to Bonnie Speyside. This is the bonus about living in Scotland and loving Whisky. I jump on a train at a very civilized 9.35 AM, take a 3 hour train journey through national parks and the Grampian mountain range (breathtaking) and I am at Aviemore ready to make my way to Glenfarclas Distillery. On the way, if I had been inclined and if I had more time, I could have stopped off at Blair Atholl, Edradour and Dalwhinnie to name but a few distilleries. Dalwhinnie is actually a stones throw from the train. So why have I been sent up here? Well, let’s talk about Glenfarclas for a minute and then we will get to my task. 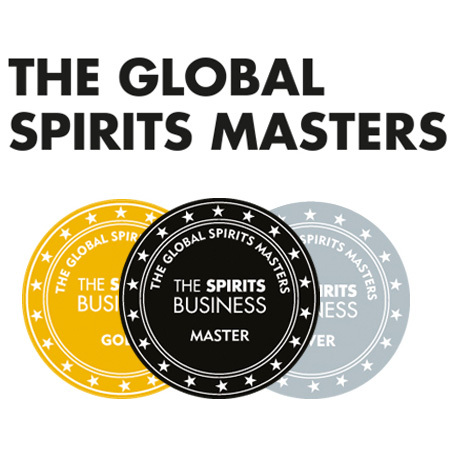 They are very much a distillery that does what it says on the tin. They make nice whisky using American oak, Sherry oak and Port oak. They don’t really muck about with fancy packaging or fancy prices. No wood finishes, only full maturation. They are still family run and they have some of the oldest whisky stocks in the country. I was talking to George Grant about the use of Port Casks as we drove through Speyside, (passing numerous distilleries including: Tormore, Aberlour and Macallan) since I didn’t know they used Port casks. He was saying that in the early 19 hundreds, port was quite popular in Scotland. His Great Grandfather would buy a Port cask filled with Port, drink or giveaway the Port and then pour his whisky into the cask. Not a bad idea! 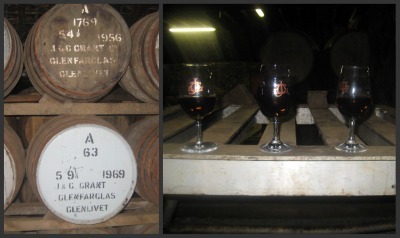 On to why I took my trip up here: Master of Malt love Glenfarclas. They love the ethos and love the guys involved. 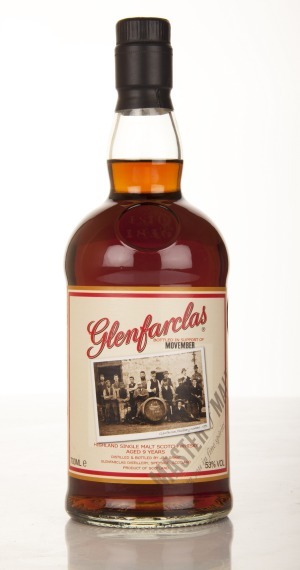 As part of Movember, they are going to bottle a couple of casks of Glenfarclas. 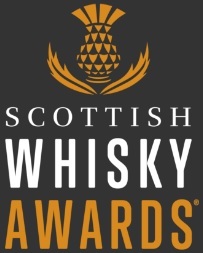 And I have been selected to choose the casks. Me! I pinched myself when Ben asked me. What a great job! So the challenge set to me is to pick 2 casks that will mix well together to create a big, rich spicy beast. They don’t sell single casks at Glenfarclas, as they have the family cask range. George had handpicked ten casks to choose from. All of them 9 years old. We tried as many as our palates could handle. It was amazing trying so many casks, to notice how different they were, yet how they were all related and shared some similar attributes.. Like looking at a family photograph. It was interesting watching George walk around the casks, because for him, this is home. He rolls casks in the same way you may re arrange furniture in your living room. He cut his teeth in the industry travelling the globe, promoting his families excellent whisky. If you were to cut him, he would bleed Glenfarclas. And what a product he has to sell! 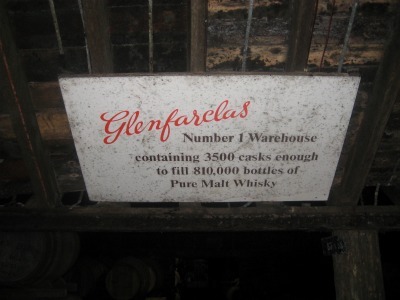 The quality and age in those Glenfarclas warehouses is remarkable. Nose: Dairy Milk Fruit and Nut. Slight hints of caramel and honey when warmed. George said it was a wild one, and I agreed. That was part of the logic of choosing it, something a bit wilder. Something that you could sit in an armchair and analyse. Definitely still Glenfarclas, but perhaps less sweet than other bottlings. More fino and amontillado sherry, with only the chocolatiness giving hints to the fact it’s Oloroso influenced. I could have spent all day there, but I had a train to catch back home.Just as we were walking (floating) out of the warehouse, I spotted one of the Port pipes and begged George for a taste. 30 year old first fill port pipe Glenfarclas: my lord. That’s good. Vanilla, blackberry, cream. Slight astringent note. Gentle and superb. A bit of vanilla. Hints of dried fruits, chalkiness, apples and pears. Thanks to Glenfarclas. What an experience! This entry was posted	on Tuesday, November 8th, 2011 at 6:22 pm	and is filed under Events. You can follow any responses to this entry through the RSS 2.0 feed. Responses are currently closed, but you can trackback from your own site.